Time for a little backstory- One year when I was in college, I lived in an apartment with 4 other girls (we had a 4 bedroom apartment so it wasn’t cramped at all) and they were all in various stages of relationships throughout our year living together. Ashley was engaged when we all moved in, Courtney got engaged to her boyfriend toward the end of our lease, Lauren got engaged to her boyfriend during the winter, and Abby was dating Nate. For all of the engaged girls, I made them a paper chain to count down the days until their wedding- and they were so fun to make! We had them strung around the hallway and the living room, which made great cheap decorations since we were all in school and broke. Now years later, Abby and Nate are getting MARRIED! I’m so incredibly excited for them and I can’t wait to help them celebrate at the wedding! 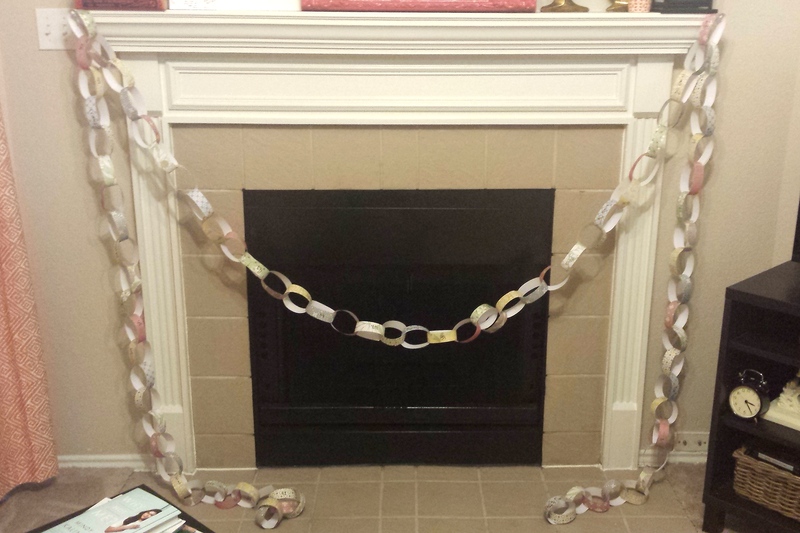 But as a former roommate, there is something I must do first… make her a wedding countdown paper chain!!! I sent this off and I hope that she enjoys ripping off each chain, one day at a time, as her wedding day approaches. The steps to make your very own paper chain are so simple! 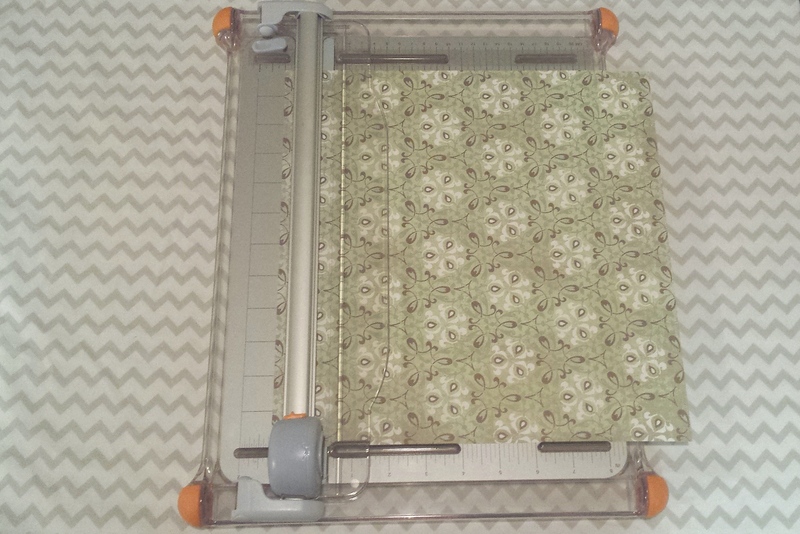 Pick your paper and cut into strips. Write dates or number of days until the wedding on the strips. Tape the strips together and you’re done! This is seriously such a fun gift to make and such a fun gift to give! It’s unique, thoughtful, interactive, and there are a TON of options for how you want to make them. 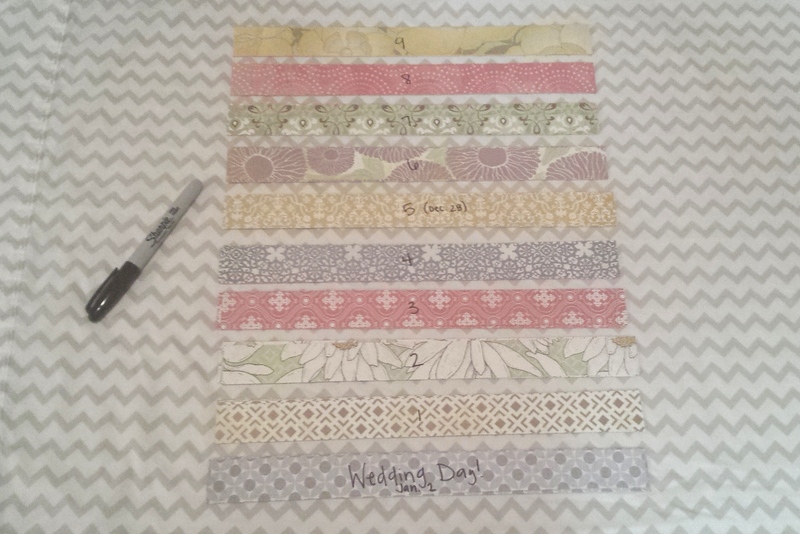 You can get beautiful paper, paper to go with the bride-to-be’s decor, you can get really inspired and write quotes about love on some of the strips (I did this for my sister’s wedding countdown chain! ), the possibilities are endless. What’s your favorite gift to give a bride-to-be? This is such a good idea! Most of my high school/college friends are married now, but I have a group of law school friends who are all headed that way soon. I’ll definitely have to try this out. Thanks! This is THE CUTEST thing ever. I wish I would have known about this when my coworker was engaged – this is something she would have LOVED! So sweet! I vote you definitely do it! It doesn’t take long and people think it is so thoughtful- you’ll blow her away!! This is so creative! Love the idea! Wow, thanks for sharing this. This is so cute! I know how exciting a wedding countdown can be! I was slightly less original and just had a post it note countdown.